Because the soil here in Middle Tennessee is composed of typically sand, clay, limestone and other rock, sometimes you have the need to hold back erosion and mother nature or reduce a slope. Retaining walls are perfect for stopping erosion or changing the shape of a hill. Walls are also used to help create borders between patios and your yard or for defining a garden, terraced plant bed, stairway or walkway. There are several questions we will need to answer before deciding what type of wall needs to be built. What is the soil composition? As we mentioned earlier, Middle Tennessee soil usually contains high amounts of sediment and clay, but your soil could vary from lot to lot. What is above the wall? Maybe you have a pool, a bridge abutment, or a driveway above the wall. We need to make sure the proper structure is in place before beginning to prevent any soil movement below these types of structures. Will the ground below or above the wall be sloped or flat? This is important because it determines the prep work that needs to be completed before the construction of the wall begins. What will be the height of the finished wall? This depends on what the wall is supporting, whether its purpose is simply decorative or border in nature, holding back a hill, or whether it’s holding back a wall for a swimming pool or another structure. Why not do it with style? 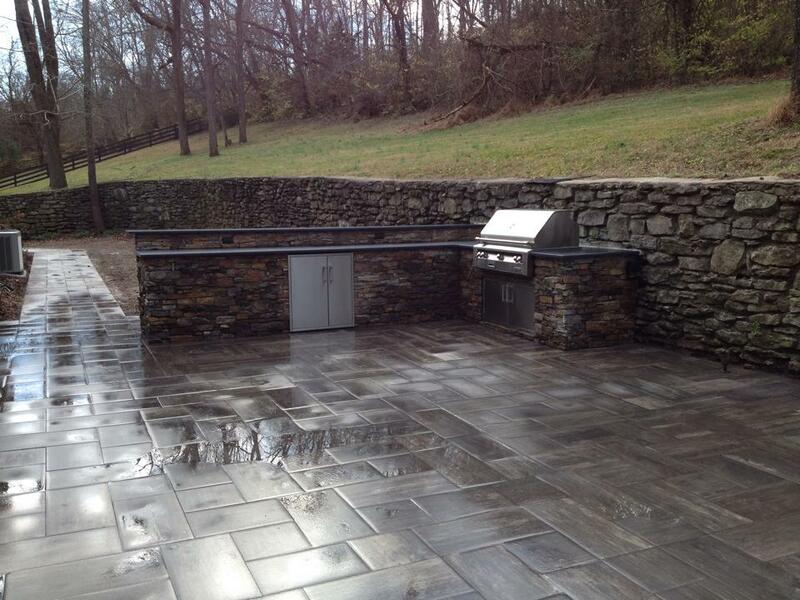 At Harpeth Valley Hardscapes we can build a wall that will last decades and look beautiful against your outdoor area. We have years of experience building walls using stone and segmented retaining wall blocks. Our wall structures and support choices depend on the amount of force the wall is holding back. Rest assured that we will build the proper amount of support for the amount of force on your wall.